Explore IEDA's global interdisciplinary data holdings through an interactive map interface. The IEDA Data Browser uses the GMRT Synthesis as a backdrop, and allows you to zoom to areas of interest and search across IEDA systems to discover interdisciplinary research data. 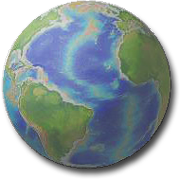 MGDS and its partner system EarthChem together provide a suite of services in support of observational solid earth research in the Ocean, Earth, and Polar Sciences. We make data management easy! The Antarctic & Southern Ocean Data Portal provides access to geoscience data from the Antarctic region, primarily acquired with the R/Vs Nathaniel B. Palmer and Laurence M. Gould. 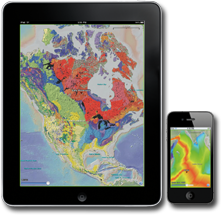 Use our desktop apps GeoMapApp and Virtual Ocean to explore, visualize and analyze your own data within the context of hundreds of other earth science data from around the world. Create your own custom maps & grids! GMRT MapTool provides instant access to our GMRT Synthesis, a global multi-resolutional data set which includes seafloor bathymetry data to 100-m resolution where data are available. Mark et al., 2019, Azimuthal Seismic Anisotropy of 70-Ma Pacific-Plate Upper Mantle, J. Geophys. Res. Solid Earth. doi: 10.1029/2018JB016451. Janiszewski et al., 2019, Amphibious surface-wave phase-velocity measurements of the Cascadia subduction zone. doi: 10.1093/gji/ggz051. Wang et al., 2018, Implications of radiocarbon ages of organic and inorganic carbon in coastal lakes in Florida for establishing a reliable chronology for sediment-based paleoclimate reconstruction, Quat. Res., 1-12. doi: 10.1017/qua.2018.96. Mittal and Delbridge, 2019, Detection of the 2012 Havre submarine eruption plume using Argo floats and its implications for ocean dynamics, Earth and Planetary Science Letters, 511, 105-116. doi: 10.1016/j.epsl.2019.01.035. Medici et al., 2019, Groundwater flow velocities in a fractured carbonate aquifer-type: Implications for contaminant transport, J. of Contaminant Hydrology. doi: 10.1016/j.jconhyd.2019.02.001.